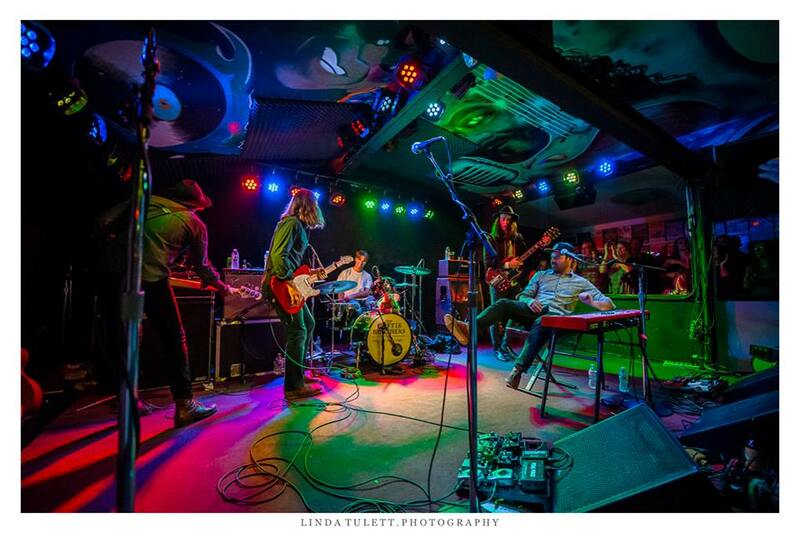 The Coffis Brothers & The Mountain Men are a rootsy rock n’ roll band born and raised in the Santa Cruz Mountains. Songwriters Jamie and Kellen Coffis are clearly influenced by those early surroundings and their blend of folk, blues, R&B and straight-ahead rock is evidence of an upbringing spent listening to all of the right records. On their third full-length album, “Roll With It,” The Coffis Brothers put that rock into overdrive, looking ahead to the good things coming and suffering no fool who would disagree. Jamie and Kellen are joined by Kyle Poppen on lead guitar, Aidan Collins on bass, and Sam Kellerman on drums, to make a name for themselves that is now synonymous with fun, far beyond their home on the California coast. We are so happy for the Coffis Brothers & The Mountain Men to make their Strawberry debut this fall, and we hope to see you there!